it even came with the standard grey vinyl as opposed to the leather interior. Commission number Y682, Engine number Y2009. No reference to a numberplate yet. I wonder if this car is still about? 2089 cars and their records now feature on the database. 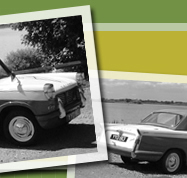 The majority are early 948 cars with the first month of production (April) now complete for the Triumph Herald saloons. Several exports to Belgium feature, and interestingly at this point all the UK saloons were solid colours, only export models were duo-tone. The most popular colour for Belgium so far is Monaco Blue and White. 99% of the Belgian exports had the different style of interior and of course all were Left hand drive.